At the 2018 CES Show in Las Vegas last month, we met 3dRudder‘s Founder & CEO, Stanislas Chesnais whose company is at the forefront of virtual reality with its revolutionary VR, gaming and 3D motion controller – the 3dRudder. 3d Rudder and its newest device 3dRudder Blackhawk was awarded with a ‘Best of Innovation Award’ in the Computer Accessories product category. Czech-based game developer studio, BadFly Interactive participated with 3dRudder at the Show unveiling its new features with the foot motion controller for the first time ever. Its Dead Effect 2 VR was recently nominated for the prestigious 35th Golden Joystick Awards 2017 in the Best VR Game category. YBLTV’s Writer / Reviewer and avid gamer, Washington Thompson III had the chance to experience both the 3dRudder and a new dimension of terror!! Experience Total Immersion in Virtual Reality with 3dRudder. YBLTV meets 3dRudder at CES 2018. 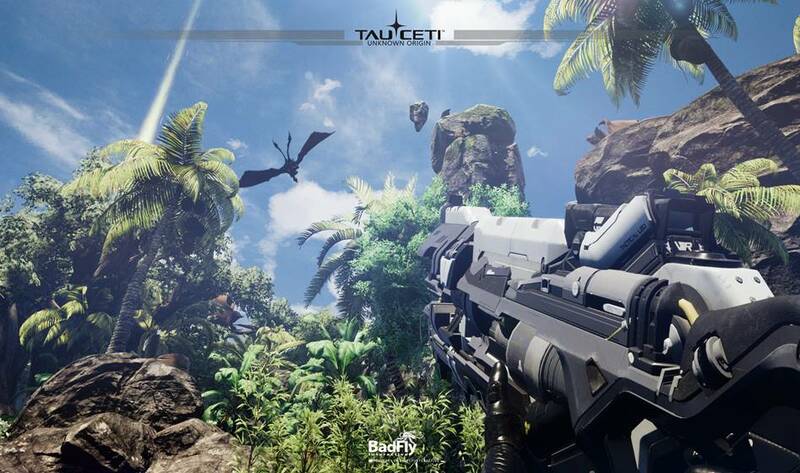 Order your 3dRudder today for a more immersive VR experience and be on the lookout for BadFly Interactive’s newest game in development, TauCeti, a fresh action-packed coop sci-fi FPS. BadFly Interactive’s, TauCeti Unknown Origin. 3dRudder was founded in 2014 in Marseille, France and has an office in New York, NY. The flagship product of the same name, 3dRudder, is a foot-powered movement controller, providing the most natural way to move in a 360° VR environment. For gamers, designers, architects, and professionals who want to do more in their 3D digital environments, 3dRudder keeps your hands free and enables total immersion in a virtual reality. BadFly Interactive is a small creative studio, made up of developers with years of experience. 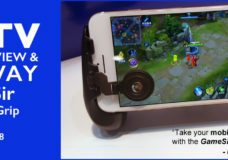 Every one of us has worked in the media and game industry for many years, participating in various AAA titles for the PC, Xbox, Playstation and currently also mobile devices. Our main goal is to create high quality games with interesting and entertaining content and to dynamically react to the current trends and changes on the game market. We want to focus on developing games for the PC, iOS and Android, using the Unity 3D engine. We take great care to create games of the best possible quality, mainly in terms of graphics, music, sounds, playability and controls. We believe that all of these aspects are an important part of gameplay because they greatly contribute to the game’s immersion and the impression it leaves in players. However, our top priority will always be fun because we believe that every game’s main goal is to provide entertainment. We want our players to have a good time while playing our games and feel that they have spent their time well. We all enjoy horror movies, especially those that combine action, brutality and humor. We strive to make our games similar and offer not only fast-paced action but also a few laughs.